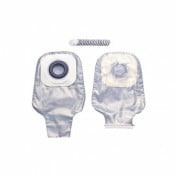 Karaya 5 Drainable Pouch, 16 Inches, manufactured by Hollister, is an ostomy pouch that effectively protects the skin from stomal discharge by utilizing the unique Karaya 5 seal ring. 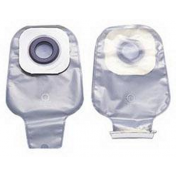 With natural flexibility and shallow convexity, this ostomy pouch provides complete comfort by using superior pouching materials. 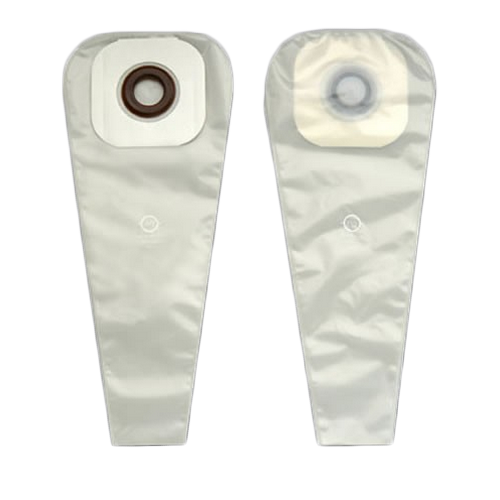 Transparent and designed with an odor-barrier film, this bag rivals other ostomy bags in terms of flexibility, durability and security. Hollister Karaya 5 Drainable Pouch, 16 Inches uses porous tape to keep skin healthy and breathable, thus reducing irritation and inflammation. If you're searching for an ostomy bag that's discreet, odor-free and ultimately comfortable, look no farther than this convenient drainable pouch. 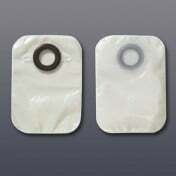 You may also be interested in similar ostomy bags, such as Coloplast Assura Drainable Pouch Standard Wear Maxi. 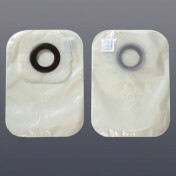 Convenient porous cloth tape and belt tabs act as skin barrier. Equipped with a tape border. A porous, paper adhesive and integral convexity make the pouch comfortable and leak-free for all day use. 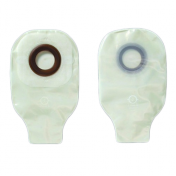 A transparent pouch allows for quick view of stoma output. Can be comfortably worn while bathing and swimming and is especially ideal for patients in a post-operative state. Product numbers: 3273, 3274, 3274, 3275, 3276, 3278, and 3279. Pouch Size: 1-1/2, 2, 2-1/2, 3, 1-1/4, and 1-3/4 inches. Stoma Size: 1-1/8, 1-1/2, 2, 2-1/2, 7/8, and 1-3/8 inches. Application: Best used with a colostomy or ileostomy. The representive I spoke to was very pleasant and kind and my supplies came the very next day. I will be ordering from you again.